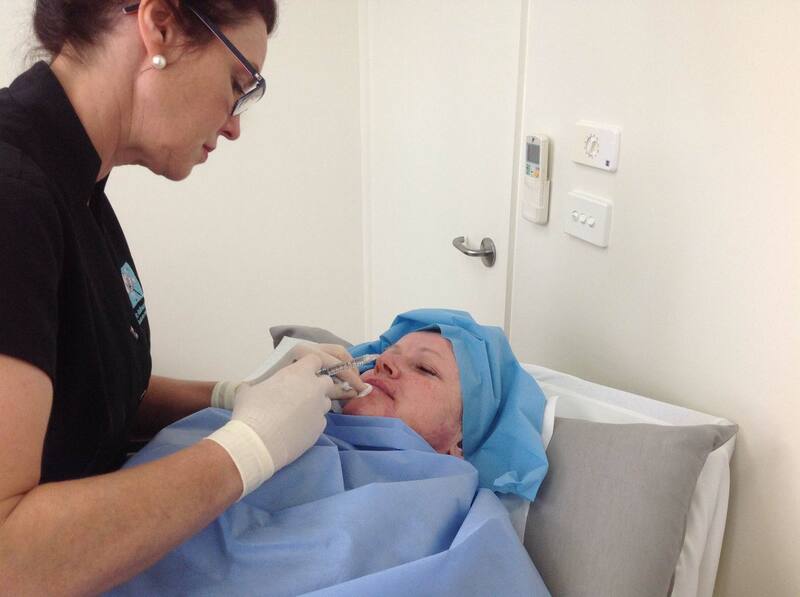 Anti wrinkle injections are just one option in a menu of choices or tools to help you improve your appearance. To achieve a balanced natural look we’ll recommend them as part of an overall treatment plan using them judicially where needed in a targeted fashion. You’ll see me, Ms. Niamh Corduff, for a consultation where we can discuss what you are trying to achieve, what options you have, and make a plan with priorities to suit your budget. You can often have your first anti-wrinkle injections on the day if you wish. I’m very fussy about records that I keep, so that I can formulate an individualised treatment plan for you, recording the dosage and placement of each injection. We do this by marking each point with a white crayon on your face and photographing it. We take lots of photographs with your muscles working and relaxed so we can look back and compare when trying to get the doses right for you. Every patient gets an individualised treatment plan (unlike other clinics where a standardised treatment template is applied to each patient). Wrinkles occur as a result of skin ageing. When a child frowns the frown lines are there, but when he /she relaxes the lines disappear. This is because the skin is thick and elastic and bounces straight back into a smooth skin. I liken the skin to a pair of bathers that thin out and lose their elasticity with time. They start to get a bit saggy and baggy! Anti-wrinkle injections stop the muscle moving so that the skin over the top does not move and wrinkle up. They do not treat the underlying problem of the skin itself. Anti-wrinkle injections work by stopping the underlying muscle from working. The drug used is a microdose of a naturally occurring protein that is refined and purified in a laboratory. It is a very precise dose and actually only works on a tiny part of a muscle as it does not spread far from the point of injection. The drug temporarily affects a specific protein in the nerve ending that is part of the messaging system so that the message of ‘move’ does not get from the end of the nerve branch to the muscle part. The nerve and muscle recover as your body makes new messaging protein, which can take around 3 to 4 months. Because the drug is very accurate and targeted the side effects are rare. In massive doses (used in babies with cerebral palsy) there have been a few cases documented where it has affected the breathing. However, in the doses we use to treat wrinkles, this is highly unlikely. What we see is occasionally a patient can become immune to the drug over time. Newer, more pure drugs reduce this risk. Other side effects that are more common are related primarily to improper placement of the injections. If the drug is placed too close to another muscle it will affect that muscle, for example, the one that lifts the eyelid, then an eyelid droop may occur. Eye drops can help with this until the drug wears off at about 3 months. If someone treats forehead lines without analysing the consequences of weakening the forehead muscle for that patient, then the brow can become heavy and flatter. The outer eyebrows can become arched in a pointed way when the frown is incorrectly injected. These latter problems are easily corrected with complimentary top-up injections. Other common side effects are bruising (especially in the highly vascular crow’s feet area) and a temporary ‘gnat bite’ swelling at the site of injection for about 20 minutes. We use 3 drugs in the clinic for anti-wrinkle treatment and all have a slightly different cost. The drugs are charged on a unit basis, however, you need, on average, two and a half times the dosage of the cheaper drugs to have the same effect as the more expensive ones, so they all work out about the same. A lot of clinics will advertise a unit price, but you need to be aware of how many units and of what drug you will need. It’s impossible to give an exact price of a treatment, as when I assess a patient I will judge the correct dosage for them to get the desired effect. However, as a rough guide for a frown, the commonest charge would be $245. However, some clients need less and some more. How long do anti wrinkle treatments last? The drug lasts around 3 to 4 months in the frown. In the forehead and crow’s feet, it can start to wear off earlier, as I often have to use lots of tiny doses to avoid other side effects like brow droop. In some muscles such as masseter, it can last up to 9 months! It also lasts nearly a year when used in the armpit for sweating. What areas of the face can be treated with anti wrinkle injections? All areas of the face can be treated, it just depends on assessment which ones will be best for you. The commonest area we treat is the frown lines because they make a person look grumpy and angry. The treatment can be varied from just a softening to a newsreader’s frown where there is still some movement, to a frozen no movement frown! It involves 3 or 5, or occasionally a few more, injection points depending on how your muscles work together and the look you are trying to achieve. Forehead lines are easy to treat and also easy to get wrong!! The muscle is a broad very thin sheet and is the only muscle that lifts the eyebrows up. 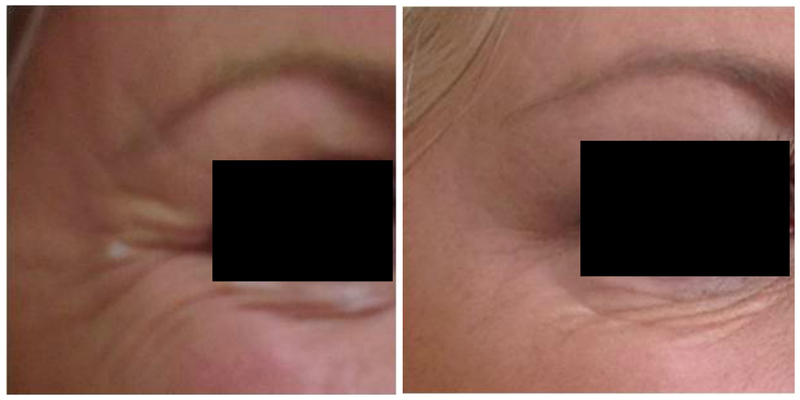 Usually, the muscle gets overactive because it is working overtime to keep a patient’s eyebrows up as they age. Weakening it with tox means the brows will drop! I will often recommend weakening the muscles that pull the brow down so the forehead muscle doesn’t have to work so hard. In young patients, it is probably not smart to keep treating this muscle in isolation as in the long term the muscle will thin out and not be as effective when they need it as they age! Lip lines can be softened with tiny doses to weaken the muscle that runs around the mouth. Too much weakening and you will start to dribble!!! They are often very effective in combination with a lip filler in those patients whose lip disappears when they smile. Sometimes the muscles that lift the lip in smiling are very strong so that patients have a ‘gummy smile.’ Again tox injections are very effective here. We start with minimal doses and gradually top them up till we find the dose that is right for you. Crows feet are another popular area to treat. However if not done properly the cheek skin can bunch up under the eye giving a shelf effect. These injections can really help open the eyes. I use commonly use 3 to 4 injection points but also can use a lot more when spreading lower doses. Bunny lines are often treated when patients scrunch their noses. Only 2 injection points are used. We also commonly use tox injections to reduce the pull down on the corners of the mouth and soften the thickening of chin muscles that become hyper-active with ageing, giving a nice subtle improvement to the appearance of the lower face. The neck is another favorite, dropping the neck back to give some definition under the chin. What else can anti wrinkle injections be used for? In this clinic, we also use tox (anti-wrinkle injections) to treat excessive sweating. Local anesthetic cream is applied and then multiple injection points to each armpit to spread the drug over each affected area. The injections themselves are quick, the numbing takes about 30mins. It can also be used to treat jaw clenching. The chewing muscles can become overactive, especially over the corners of the jaw leading to jaw clenching. Tox treatment is very effective here to reduce jaw clenching. I these cases, I prefer to get the OK from your dentist before treating to check your bite and teeth before we start. Who can perform anti wrinkle injections? In this clinic, all tox injections are performed by myself, with a solid foundation in anatomy I understand what is going on under your skin and am able to individualise your treatment, but also able to offer you alternative options. It is by assessing your face personally and giving you the results we both want through individualised planning that I get great job satisfaction, and that is why I treat patients myself rather than just supervise a cosmetic nurse doing it. I am also an international trainer, lecturer, and researcher for one of the leading tox companies, so am able to offer you those skills and experience as part of your treatment.